Clinton has over 15 years in the hotel industry, previously working in Events, Food & Beverage and Sales & Marketing. During his hospitality career, Clinton has experienced a hotel re-brand and hotel opening which brings him to a new challenge in tourism. With a Bachelor of Business, double major in Marketing and International Business, Clinton’s experience has lead him to join Perth Convention Bureau. Clinton’s key responsibility at the Bureau is to grow the C&I visitors to Perth, Western Australia. He enjoys family time and loves to watch sports. 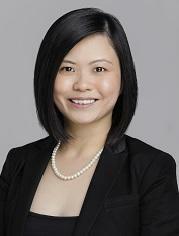 Jiaye is responsible for growing the C&I visitors to Perth, Western Australia. 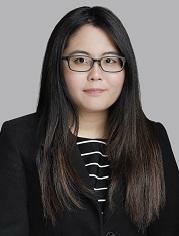 Possessing extensive and practical business development experience from international hotel brands in Perth, Western Australia, and Singapore, Jiaye is passionate about building successful relationships with her clients and promoting Western Australia as a destination for business tourism. She graduated from the University of Western Australia with a Bachelor of Commerce, majoring in Marketing. In her spare time, Jiaye likes spending time with her family and uncovering Perth&apos;s multicultural food scene. Connie moved to Perth in 2016 with her family and she is originally from Shanghai, China. 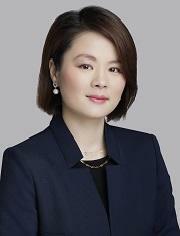 Before she joined PCB, Connie had worked for the local tourism bureau, Hong Kong Tourism Board for 6 years and also possesses extensive business development experience from international hotel brands in Shanghai and Western Australia. Her role in PCB is to grow the C & I visitors to Perth and Western Australia (WA) and she is passionate about promoting WA as a destination of business events. In her spare time, she enjoys exploring all corner and best food & wine scene of WA with her family. Belinda joins the bureau after graduating from UWA with a double major in Accounting and Economics. She has been living in Perth since 2010. Belinda previously worked in a tax firm assisting with individual tax returns. Belinda joined PCB because she would like to explore, experience and learn more about Perth and Western Australia. Belinda hopes to one day travel around the world and explore its beauty and mystery. She also likes to learn different languages.